Drones as modern carrier pigeons and autonomous electric vehicles as urban suppliers: TU Graz’s expertise is at a premium in trialling of new delivery methods. 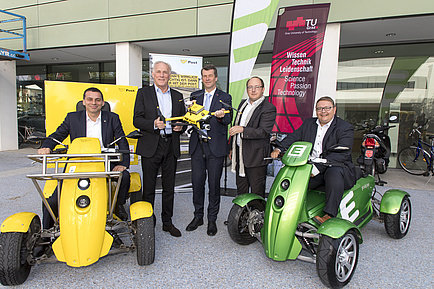 Autonomous vehicles – both in the air and on the ground – are an active research area of TU Graz. Teaching drones and vehicles how to see and think is the aim of a TU Graz research group which has earned international visibility with its specialisation in image processing, machine learning, object recognition and 3D reconstruction. And the team from the research area of autonomous robotic vehicles has also been successfully developing methods, software and integrated systems for the most varied application cases involving autonomous robots. 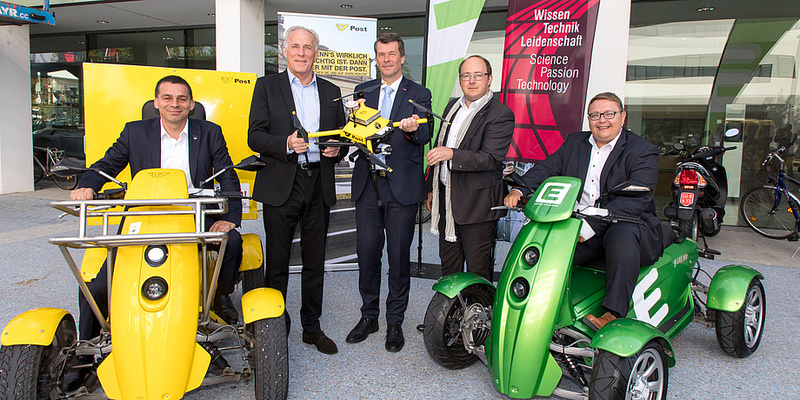 Both are natural cooperation partners and are currently working with Post AG, SFL technologies, i-Tec and Energie Steiermark on the implementation of two projects dealing with “last mile” autonomous transport logistics, says Horst Bischof, TU Graz’s Vice Rector for Research. 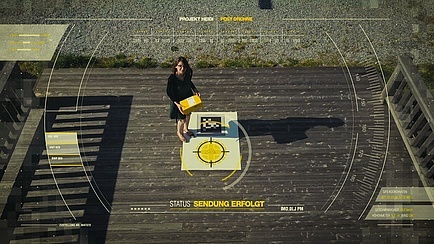 A drone takes off carrying a letter or package in its payload. It heads for a remote mountain farm, recognises a coded mat on the ground and lands with pinpoint precision. The post has been delivered, the drone flies back to “its” postmen and is reloaded for its next job. To make this scenario possible, the autonomous drone’s image recognition, image processing and independent landing is crucial. TU Graz’s Institute for Computer Graphics and Vision is working on exactly these topics. “We provide the drone’s intelligence. What makes our work so special is that whereas other autonomous drones find their way based on GPS, our drones have cameras and their own computers on board which take over evaluation of images. 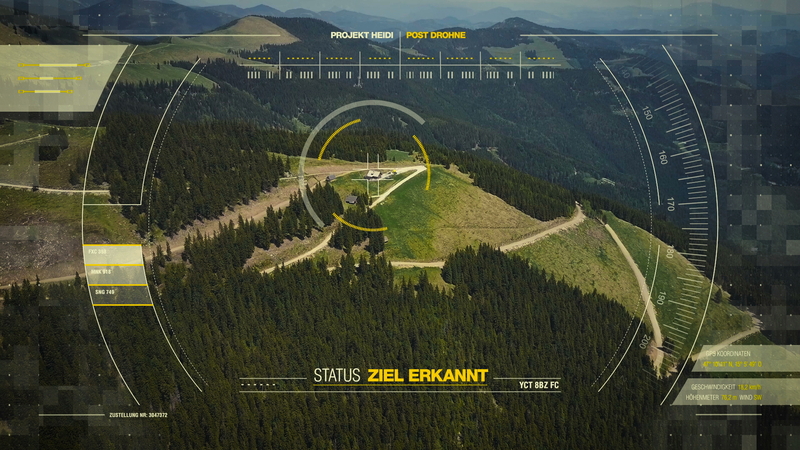 In other words, the drone ‘sees’ where it’s flying to and behaves accordingly,” explains Friedrich Fraundorfer. At the moment his team is working intensively on the image evaluation software for the drone’s tricky landing process. “Apart from landing, there are other safety aspects which need to be taken into account. 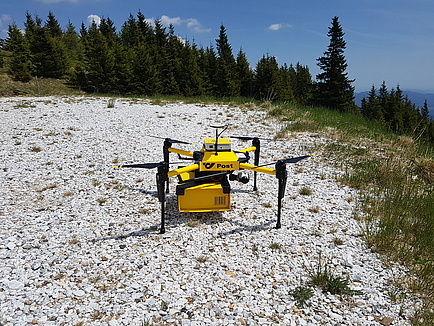 Not only do drones have to recognise their landing points, they also have to recognise whether there are people, animals or other obstacles there and react accordingly and fast,” says Fraundorfer. 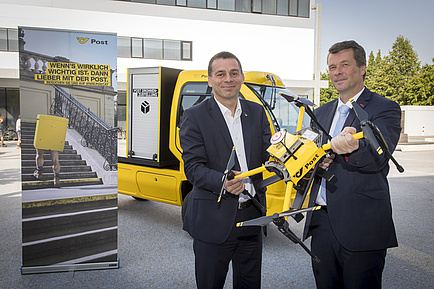 The starting point of the delivery drone is an ELI – an e-vehicle developed for community tasks by SFL which could also play a future role in postal deliveries. The Post AG company is currently engaged in testing the TU Graz system. In concrete terms, a standard Jetflyer is being painstakingly converted at the Institute of Automotive Engineering. Transport boxes are attached, for which the driver’s seat is made smaller. Sensor system and computer with suitable software for autonomous control (drive by wire) and the vehicle’s navigation (automatic location identifier in an urban area by means of maps and laser sensors, efficient route planning and reliable avoidance of dynamic “obstacles”, such as pedestrians and cyclists) are being integrated. Autonomous navigation in an urban area represents a huge challenge compared to indoor environments due to increased complexity and environmental dynamics. Two members of staff with RoboCup experience will have responsibility for this at the Institute of Software Technology for six months. The Jetflyer should be able to navigate around the pedestrian zone of the Graz inner city by the autumn of 2017. Costs of the technology trial will be shared by Post AG and Energie Steiermark AG. Both areas Robotics and Computer Vision are part of the Field of Expertise Information, Communication and Computing, one of five strategic research foci of TU Graz. 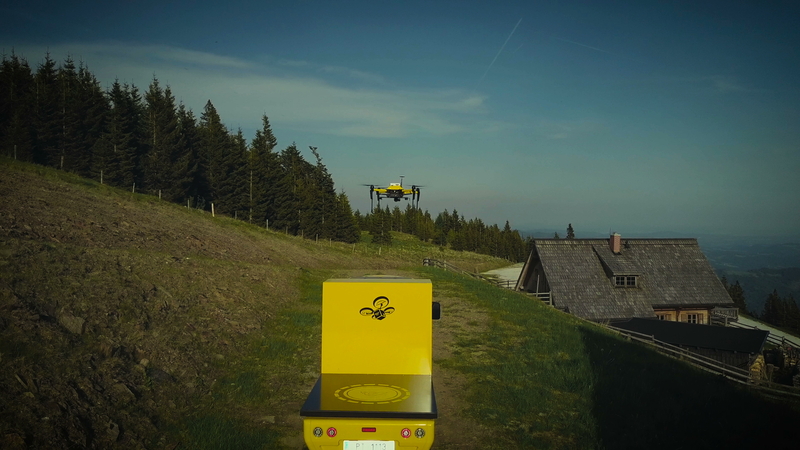 This <media 83827 _blank int-link-external "Opens external link in new window">video of a drone delivering parcels</media> shows how autonomous delivery drones can be helpful in remote alpine areas.